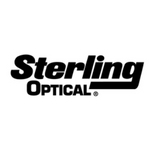 For over 100 years, Sterling Optical has been providing professional eye exams and incredible customer service from our licensed optometrists and staff. Every location offers full service eye care for the entire family. Visit any location and find an extensive selection of eyeglasses, contact lenses, and designer sunglasses, all at a great value. At Sterling Optical, no matter what your budget, we offer fashion for everyone!